In a radical move that is sure to herald a greener future for the roofing industry, Owens Corning® has introduced the first roofing Environmental Product Declaration (EPD). This is a verified document that gives you candid and comparable info about the life-cycle impact of products on the environment. After all, the need for eco-friendly products is one that concerns us all. At last November’s Greenbuild 2015 International Conference and Expo, Owens Corning introduced EPDs for a selection of their asphalt shingles. This EPD tells the story of a product in one report and focuses on the product’s impact on key areas such as global warming, ozone depletion, ozone creation, and gas emissions. 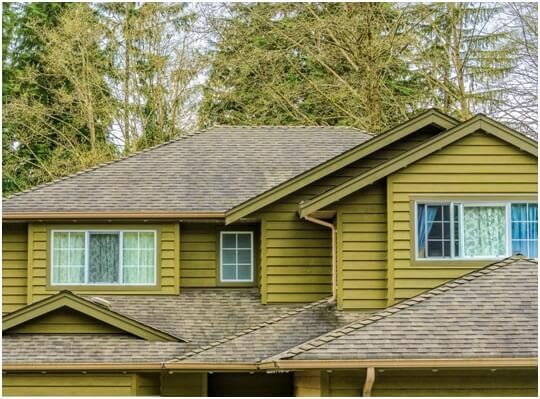 As the top roofing contractors in Michigan, we proudly offer these products for your home. This is part of Owens Corning’s drive to become a net-positive impact company. Since its inception, this program has saved more than 2.9 million tons from landfills. These new EPDs provide resources to help building and design experts meet the growing proliferation of green building. As such, when we install your new roofing in Michigan, you will be able to get a better understanding of its sustainable qualities. From raw material extraction to manufacture, and all the way to disposal and end of life, you get to keep track of your own efforts towards a greener future. Our commitment to sustainability also means that we are constantly looking for ways to extend this approach to all our other products. Let us install ecofriendly roofs on your home today. We offer an array of convenient financing options to help you get started right away. Call us at (888) 338-6340 or simply fill out our request form. We look forward to working with you.